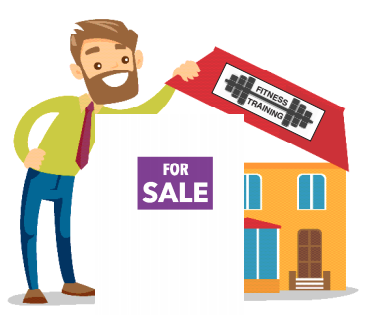 Are You Ready to Sell Your Fitness Business? Be emotionally ready. Owners often overlook emotional readiness when they consider whether or not to sell their business. Think about it: Your fitness business is likely a substantial part of your life that you’ve worked hard to build. If you sell, your lifestyle will be quite different, and you’ll need to focus your energy on other activities. Be candid about your reasons, and plan accordingly. Do a business valuation. If you’re working with a business broker, which Davis recommends, a business valuation will help you achieve a “market asking price” and a plan to take your business to market. The business broker will need the last 3 years of tax returns, a profit and loss statement for those same years, and the latest balance sheet. Keep it quiet. Confidentiality is critical. When you sell your home, you want the whole world to know. This is not the case when you’re selling your fitness studio. Tell only those who absolutely need to know. Knowledge about a pending sale could alarm employees, customers, vendors and bankers. Employees might become less focused and even look for other opportunities, while members or clients could begin looking for another studio or personal trainer, negatively affecting your ability to sell. Document your client base. An important factor in valuing your health and fitness business is the membership/client base, a prime motivation to potential buyers. You must be able to document the current member/client count, as well as the numbers obtained and lost in the last 3 years. This will determine the “stickiness” of your membership, which will be important in the business valuation and for due diligence. For more information, visit sunacquisitions.com.